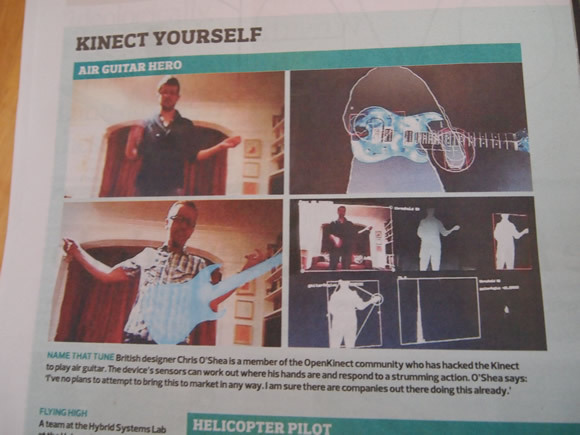 I received lots of nice emails from people after I published the Air Guitar prototype with Kinect before Christmas. Many people telling me I should create it as a full game for XBox Live Arcade. Some of the blog coverage included Gizmodo, Joystiq, Kotaku, Neotorama, Make, Crunchgear, TheHeroFeed, PSFK, Creative Review, T3, Techspot, Neurosoftware & Bitrebels to name a few. Many bloggers asked if this demonstrated the future potential for Guitar Hero. It seems unlikely now as Activision have canned Guitar Hero (and DJ Hero), although no-one is ruling out a comeback. Of course there is still Harmonix (Rock Band / Dance Central creators) in the music genre. 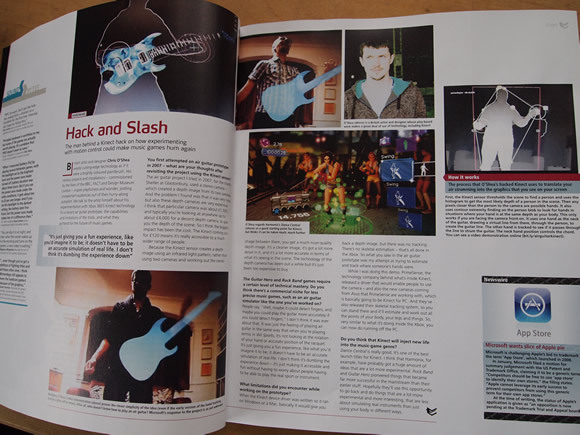 An interview in brilliant games magazine Edge, March 2011 issue came out yesterday. 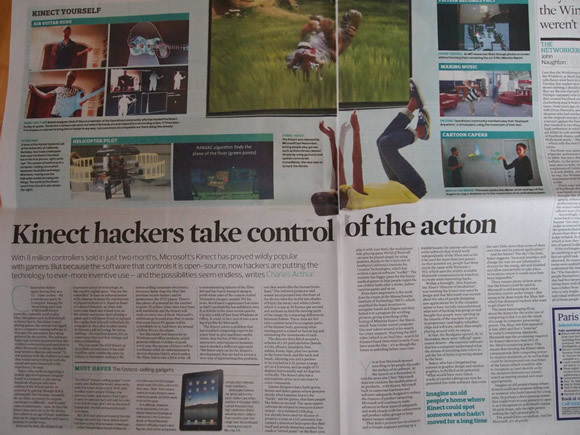 In January UK newspaper the Observer had an article on Kinect Hacks with a mention of Air Guitar. Read article, see photos.